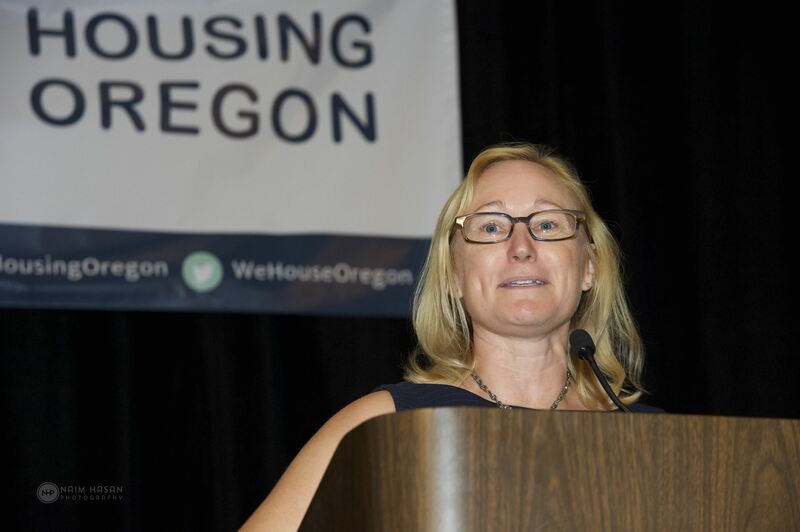 Thanks to all who attended and made Housing Oregon’s annual gala and fall industry support conference in early September a success, especially on such a short timeline. 275 people joined us for the evening Gala and 150 for the day-long conference. 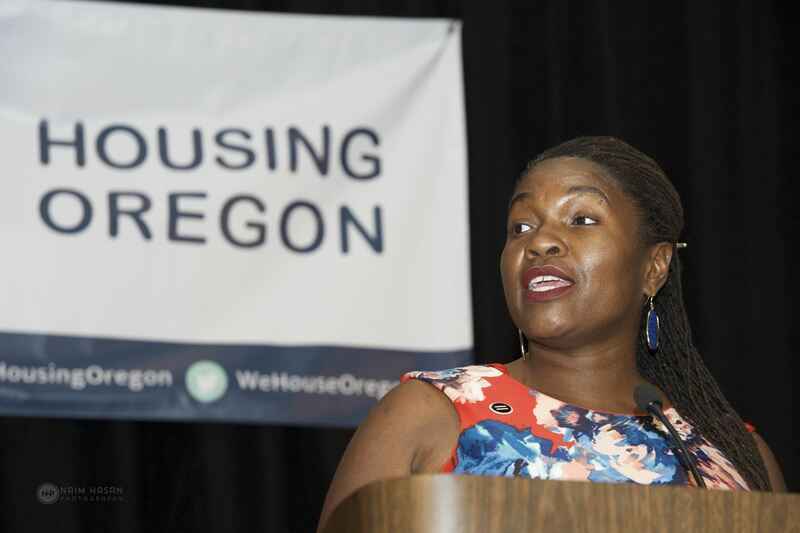 Clearly, those in the affordable housing industry across the entire state are a community dedicated and passionate about serving low-income Oregonians across the housing needs spectrum. We were fortunate to have Lynn Peterson, President-elect for Metro, the Portland region’s government, and Sam Chase, District 5 Metro Councilor, speak to the historic opportunity Metro’s $650 million affordable housing bond measure and statewide Measure 102, referred by the legislature, offer for making an impact towards alleviating our statewide housing crisis. I again want to apologize for the last-minute change with our keynote speaker. Unfortunately, our planned speaker, Julian Castro, was unable to attend due to unforeseen circumstances. I know many were hoping to hear from the former HUD Secretary. Congratulations to the sixteen individuals and organizations recognized for their outstanding leadership and development efforts. Both Nkenge Harmon Johnson, President/CEO of the Urban League of Portland, and Diane Hess, Education and Outreach Director for Fair Housing Council of Oregon, received the Gretchen Kafoury Award for their fearless advocacy. Harmon Johnson has led efforts to build the largest culturally-specific housing support program for African-Americans and Hess for creating Portland-area bus tours educating thousands about the racist history of housing discrimination in Portland. 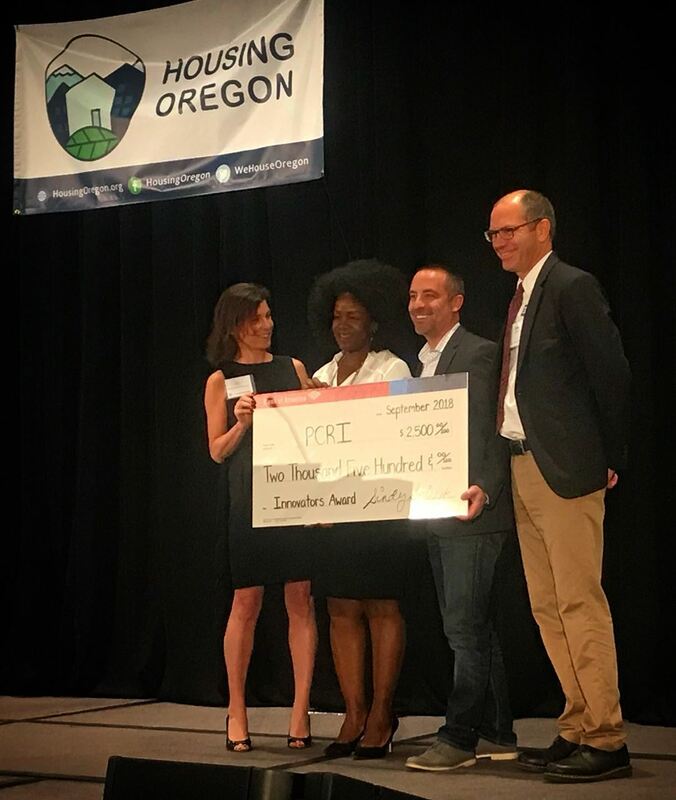 At the conference we recognized Portland Community Reinvestment Initiatives Inc. (PCRI) as the Housing Oregon/Bank of America Innovators Award for their Pathways 1000 project. PCRI’s campaign solves a pressing and challenging issue by using preferences for N/NE Portland families displaced by gentrification with a focus on producing permanent housing. Working closely with the Portland Housing Bureau’s N/NE Neighborhood Housing Strategy, they are combining community development planning with an assertive focus on a historic equity issue. Others recognized included the Steps to Success Award to Farmworker Housing Development Corporation for their Woodburn-based Nuevo Amanecer housing and community education center – the Cipriano Ferrel Education Center – as an outstanding resident services program. 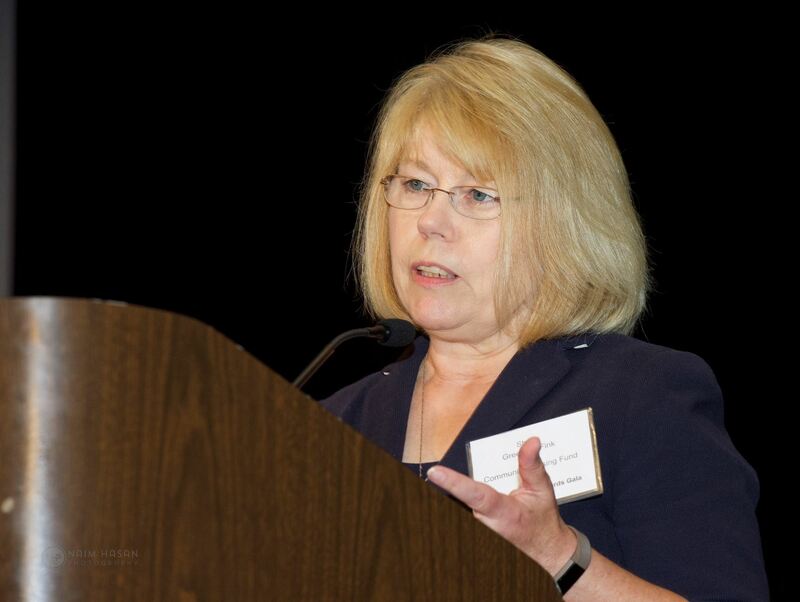 Sheila Greenlaw-Fink, Executive Director of Community Housing Fund, received the Strides for Equity Award for her longtime leadership role in Washington County affordable housing policy and funding efforts. CHF recently invested in innovative projects serving chronically homeless individuals with severe and persistent mental health illness and an intergenerational community for elders and families adopting children from foster care. Lastly, the Golden Hammer Awards, recognized two multifamily projects that best exemplify ideals of affordability, quality of design, cost containment, livability, community revitalization, and/or service integration. Bridge Meadows Beaverton, developed by Bridge Meadows, the intergenerational community for elders and families adopting foster children, excelled at listening to residents and neighbors, leading to a design that balances social interaction and a sense of refuge for residents. Second, Garlington Place, in NE Portland, by Cascadia Behavioral Healthcare, integrates a 52-unit affordable housing building with a clinic providing mental health services, addiction treatment, substance use support, primary care and wellness programs supporting a person’s whole health needs.